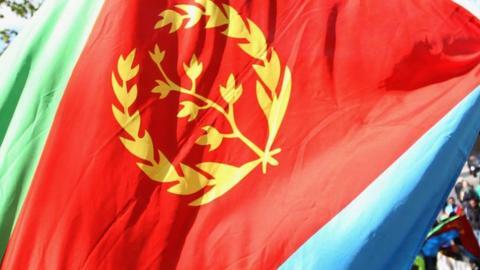 Two members of the Eritrean national team have disappeared in Kenya while playing in the Cecafa Cup. Suspicions are now raised the pair will seek asylum in the east African country. Last December, 17 players and the team doctor claimed asylum in Uganda, eighteen months after 13 players from an Eritrean club side sought refuge in Tanzania. In 2009, a dozen members of the national team disappeared in Kenya. "This is an unfortunate incident happening again and it is causing a lot of concern to the East and Central Africa soccer officials," Nicholas Musonye, secretary general of East and Central Africa Football Association (Cecafa), told Reuters. The two men, who have yet to be identified, failed to return to their hotel on Saturday after watching another match, Musonye said. The United Nations human rights chief Navi Pillay last year accused the Asmara government of meting out summary executions, torture and detaining thousands of political prisoners. Thousands of Eritreans try to flee the Red Sea state every year and many die making perilous sea-crossings in a desperate bid to reach Europe.